Nixie flowers. They're so cute, and yet so deadly. 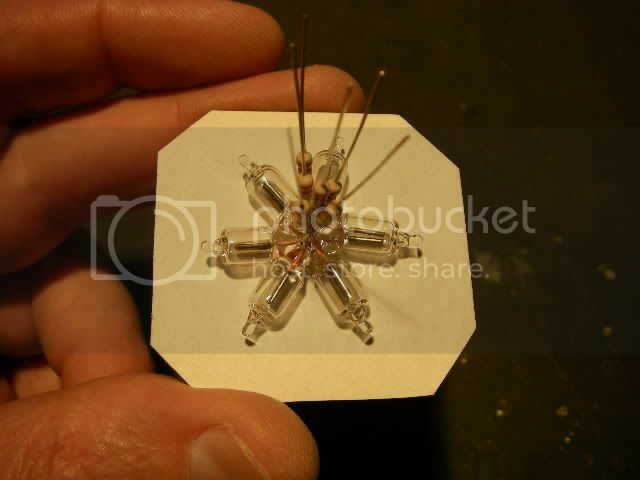 This project shows how you can make little illuminated flowers out of small neon indicator lamps. This project does operate at mains voltage so extra care must be taken when attempting it, as the voltages involved can kill! But hey, they're really cute. 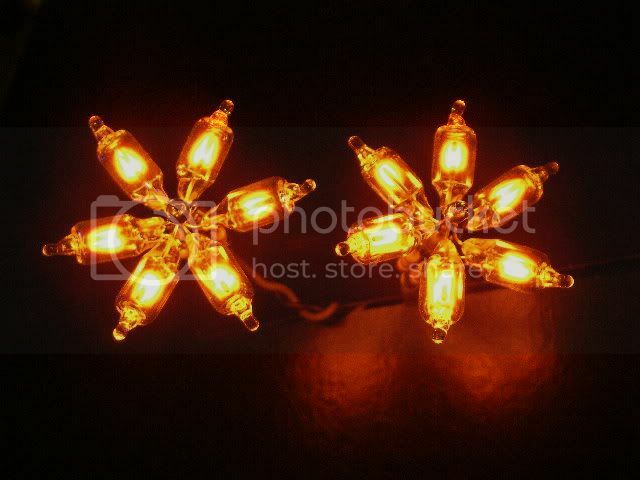 I named these little glowing flowers "Nixie" flowers after the vintage neon display tubes from the electromechanical era. 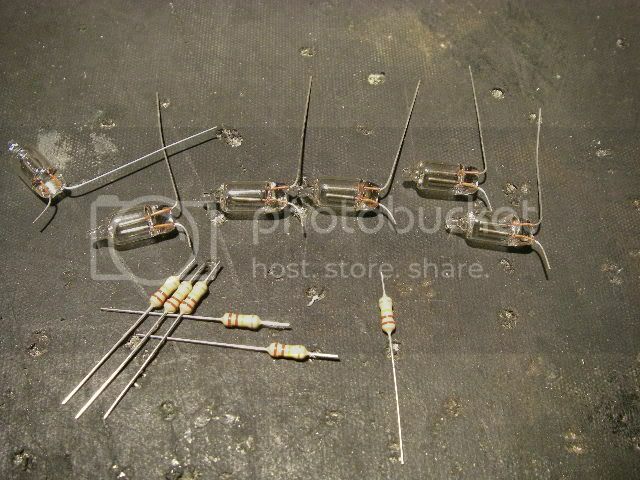 The technology is the same, and these little neon lamps were often used as decimal points in nixie tube displays. Neon lamps are still used in modern equipment as mains indicator lamps. They're relatively cheap and only require a resistor to make them light directly from the mains supply. This project involves mains electricity on exposed connections. The final flowers must be firmly secured in a transparent case to prevent anyone touching them and getting a shock. You must be experienced in working with mains voltage to attempt this project, but if you want a safer (and just as cute) project, then consider the low voltage LED version which even has little circuit boards to make assembly easier. Here's a taste of what the final flowers will look like when lit. Well I mean, when I say "taste" it's obviously not a good idea to lick them due to the presence of mains voltage. but if you really HAVE to lick them then make sure that someone is standing by with a big stick to beat your face back off them. Actually y'know? Just don't lick them. You may die. 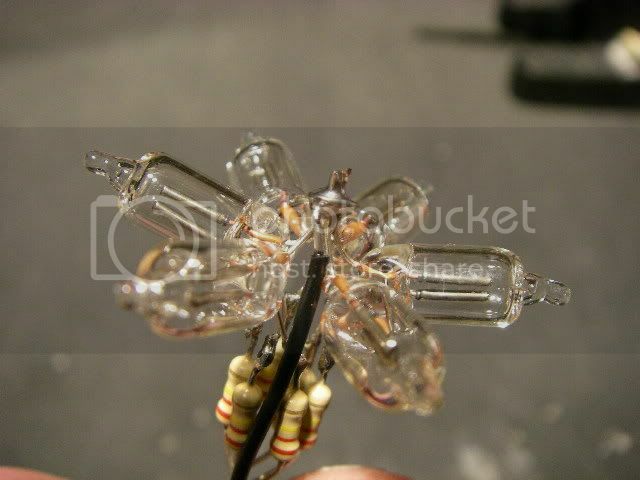 For each flower you will need six NE2 neon lamps, six suitable resistors which will be determined by your local mains voltage. In the UK and Europe we use 230V and a 220K resistor is a good choice. For America and other 110V countries a 68K resistor would probably be good. You'll also need a couple of bits of thin solid core insulated wire. Incidentally, the choice of resistor is basically calculated by deducting about 50V from your mains voltage and dividing the result by 1mA (0.001A). Neon lamps are made with a couple of electrodes inside a glass capsule filled with neon. They will not light until the voltage across them reaches about 90V and will then "strike" and their voltage will drop down to about 50V. This threshold characteristic makes them quite useful in many voltage detecting and timing applications. 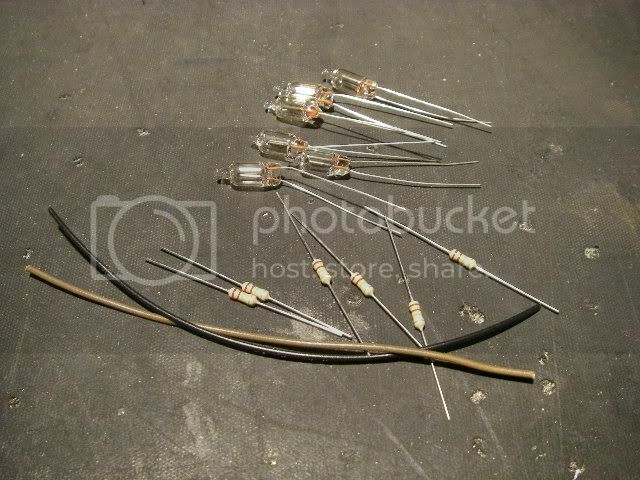 Crop and bend the leads of the lamps and resistors as shown. 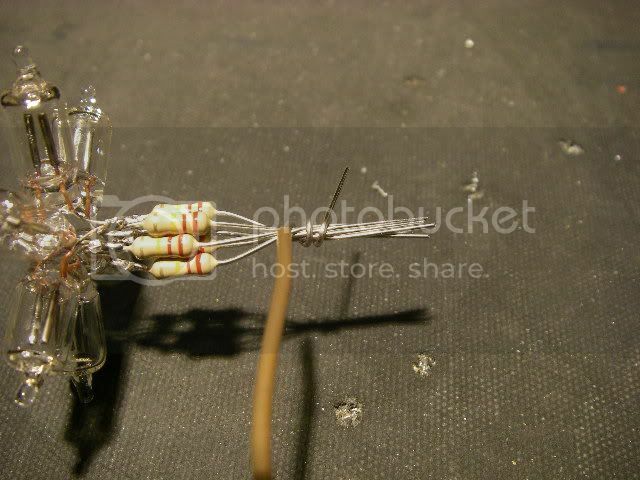 Solder a resistor onto each neon lamp by tinning the wires (coating them with a thin layer of solder) then touching them together and reheating the solder to join them. This is a bit delicate, so have patience. 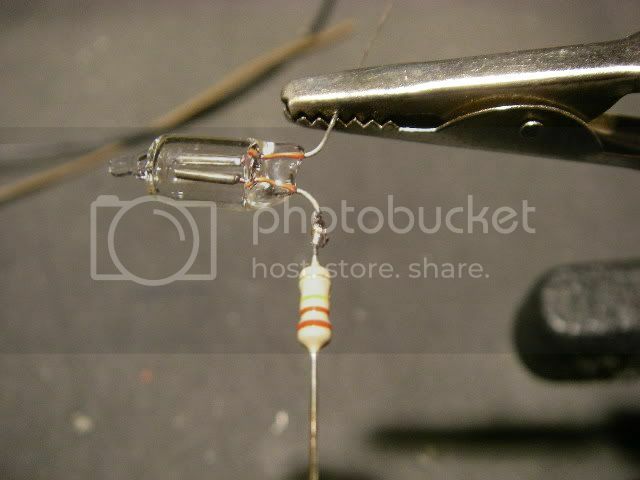 The resistors are essential to limit the current through the lamps. Without them the lamps would disappear with a loud bang, leave a skid mark and make tinkly noises as they landed in random areas of your room. 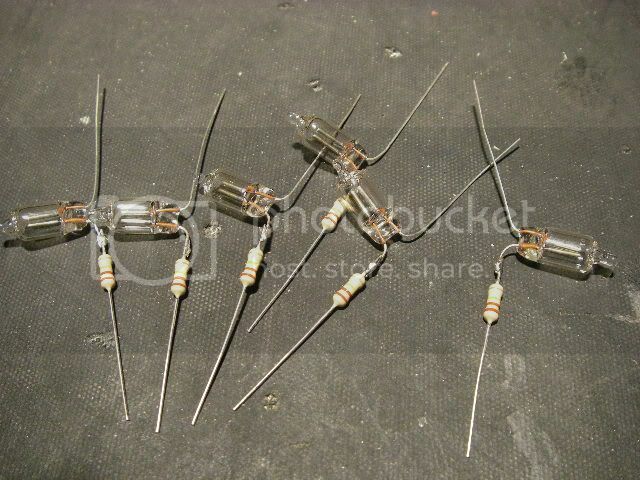 You should now have six neon lamps with resistors attached. 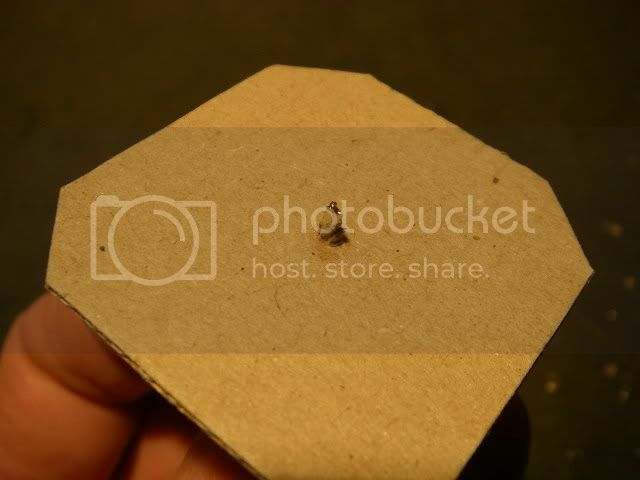 Get a bit of cardboard and make a small hole in the middle of it. This is to help align all the neons for soldering together. 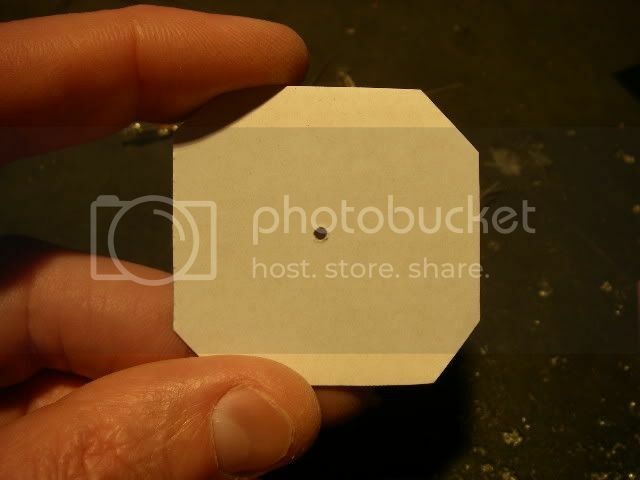 Feed all the non-resistor leads of the neons through the hole in the cardboard and spread the lamps out into a flower shape flat against the card. Then while holding firmly in place, twist the leads, solder and then crop them to about 5mm (just under quarter of an inch). 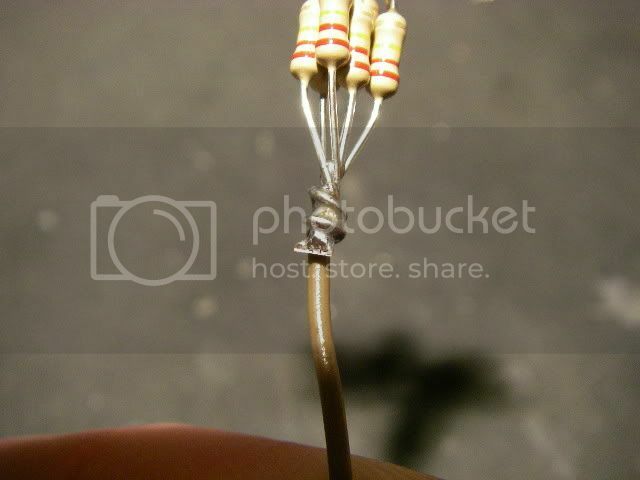 Remove from the cardboard guide and carefully align the resistors under their respective neon so their leads are not crossing. 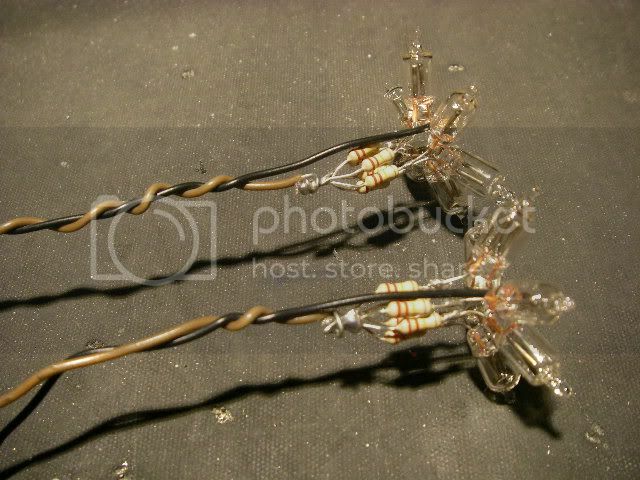 Strip one of the insulated wires by about 25mm (1") and wrap it around the cluster of resistor leads. 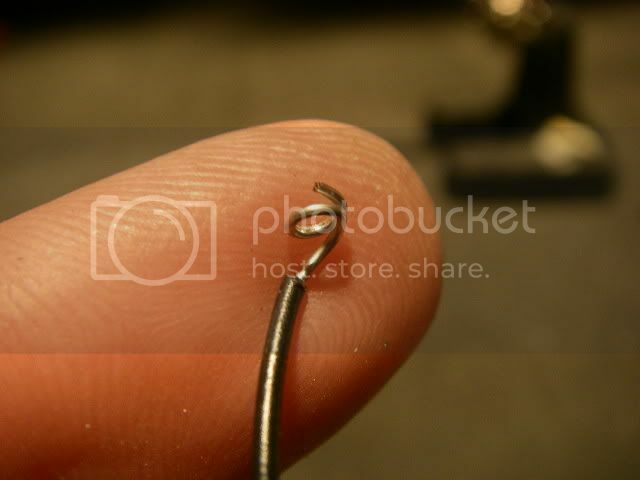 Solder, crop and fold the wire as shown. 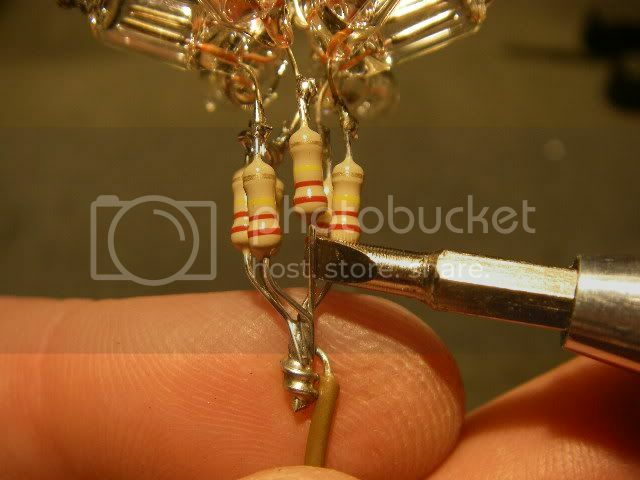 Now carefully tease the resistors apart with a screwdriver so they are spaced apart. This is for thermal and electrical reasons, but also improves the appearance. Strip the other wire by about 12mm (half an inch) and form a small loop at right angles to the wire as shown. 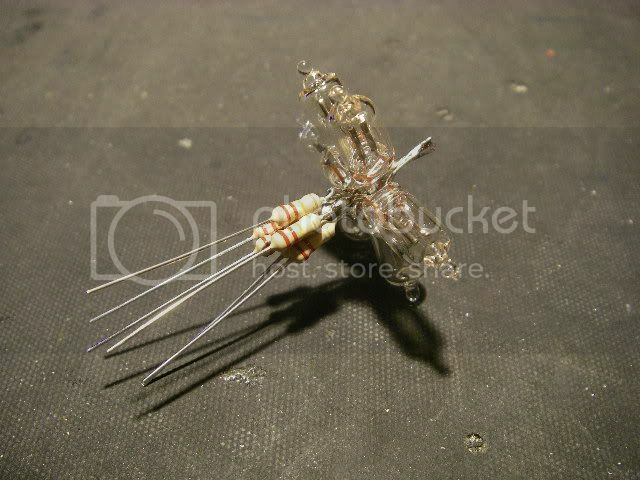 Slide it over the soldered leads on the front of the flower and solder it to them. Twist the leads together loosely and make some more flowers! Connect to the mains, and there you have it. Nixie flowers. Remember to put these in a clear insulated case if they are going to be on display to prevent inquisitive fingers from getting zapped by mains voltage. Each flower consumes just 1 watt of power, and the life expectancy of the neons is measured in tens of thousands of hours.